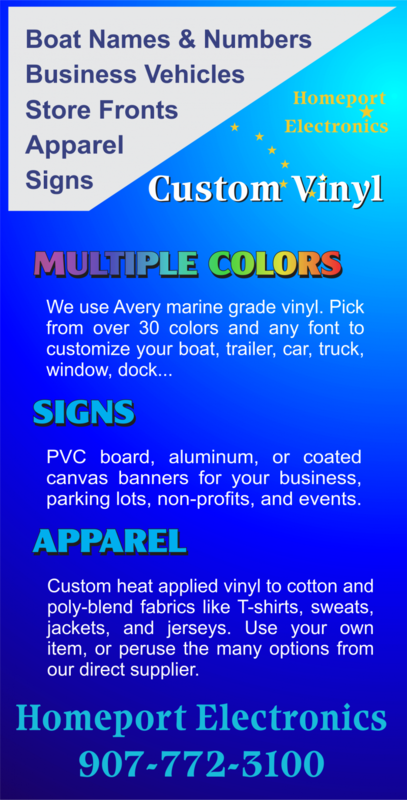 Homeport of Petersburg can make solid or multi color vinyl lettering in all sizes. Do you need Names or Numbers for your boat or business? They will have it ready in just days. Homeport also repairs boat electronics. Having trouble with your boat computer? Give them a call.